You might remember Tinhte, a very reliable source when it comes to legit photos and prototype videos of not released devices. Well, today they have gotten their hand on a white iPhone 4 prototype. But this is not just the white iPhone 4 you all are waiting for, this model is different from that and even from the currently black model. This prototype has 64GB of storage, and it shows a new organization of the folder. 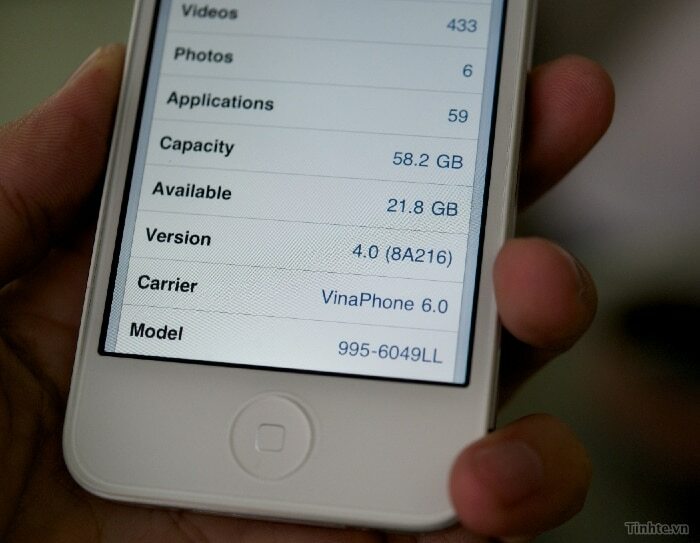 From this image which comes from the same source, we can see that this iOS version has Facebook integration.